These are all questions that I have been asked since starting this whole blogging adventure. I have even wondered what those full-time bloggers did all day long. The truth is, blogging is very much so a job and a labor of love. Since so many times I have received these questions, I thought I would answer them for those that are curious. 7:00 AM Shower. Breakfast for the boys. 9:00 AM Morning pinning and social media interaction. 10:00 AM Daily Cleaning Task. Help boys with their chores. 11:00 AM Story Time. Begin making lunch. 12:00 PM Lunch/Clean Up from lunch. 1:00 PM Play outside or go for a walk with boys if warm enough. 2:00 PM Afternoon pinning and social media interaction. 3:00 PM Quiet Time – book reading. 3:30 PM Boys up from naps – afternoon snack time and the start of the “witching hour”. 9:00 PM Evening pinning and social media interaction. The above is what a “perfect” day looks like, but some days just do not go according to plan so our routine has to change. There are days where my sweet Collin is in full on mama’s boy mode and will not let me put him down for a second. There are days where the dining room still has breakfast on the floor, as I am starting dinner. Life happens and as such, the above schedule is more of what I strive for every day instead of what happens every day. I know some people think it is crazy that you can make money from a website, but I assure you, you can. I do and if you follow, my goals update posts you will see how much money I make from my blog and see the various income streams I use. Ad revenue is the easiest form of blog monetization in my opinion. You just pop some ads in your sidebar and you start making money, only it is not always that easy. In order to generate money from ads, you have to have the pageviews to increase your earnings. Pinterest is by far my top referral of traffic and as such, is where I concentrate most of my time. However, with the recent changes to Pinterest’s algorithm, I have to implement better SEO tactics to help keep my pageviews up. Affiliate marketing is the next easiest form of income for a blogger when done correctly. One thing I personally do is add an (*) after any affiliate links so my readers know that if they chose to purchase the item that I am recommending, I will receive commission for recommending them. Something that I will not do is promote a product that I do not believe in or use myself. If I recommend something, it is because I love it and actually use it. Examples being my two favorite blogging books, How to Blog for Profit without Selling Your Soul * and Building a Framework: Everything I Learned my First Year Blogging *. Both books are ones that I have used time and time again to help me grow my blog from receiving at best a 1,000 pageviews a month to now over 300,000 pageviews a month. I would not recommend them if I had not used them myself. Product sales are not the easiest way to make money blogging but they are what in my opinion start to turn your blog from merely a hobby to a business. In order to generate product sales you have to have a platform, which is why I work so hard every day to try to keep my platform in tack. These are just a few of the various streams of income that I receive from my blog and there are many more options out there for bloggers to make money with their creative business. Ah, the never-ending balancing act. There are days where my schedule looks exactly like the one above and everything goes well, but there are many more days where my schedule is crazy with fussy kids and an overworked husband. As you see in my schedule above, I show up for myself every day at 4:30 in the morning and it is the only way I can get anything accomplished. Whenever I do not rise early, I end up struggling the rest of the day to complete simple tasks for my blog. The book, Tell Your Time* is personally responsible for helping me figure out my day and how to manage my time. I love how Amy breaks out telling your time in manageable sections by reminding you that you truly only have 24 hours in a day – no more. Therefore, the answer to where do I find the time, is that I do not find the time. I create it when I can. If you are struggling as a blogger to find time in your day to manage all the details of blogging, I encourage you to work on creating your own time for your blog, even if that means getting up earlier than you would like. 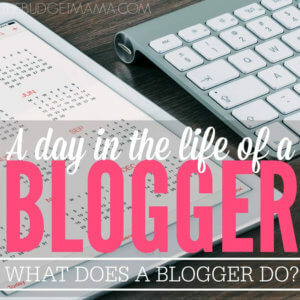 How do you get it all done as a blogger? It’s amazing how much more you can pack into your day if you get up early. Two days a week I get up at 5 am for my son’s swim practice. He is fed and out the door by 5:15. I noticed I get a lot more done those days. Of course, I am then about asleep at 9 that night. It’s always fun seeing other people’s schedule. Thanks for sharing. Soon after I started blogging, my Little Miss gave up naps. I’m also not a morning person, so it’s been a bit rough going! Thanks for the timeline, it’s fun to see how other people are managing to fit the blog in. I had to click through to this post to see what exactly it is that I’m supposed to be doing. The good news is that I do this stuff. Bad news is, not as must as I’d like. My daughter would be drawing on my wall with a sharpie or putting hand prints on the dog with diaper cream (both have happened in the last two weeks). But I can get a good amount done during naps and at bedtime. Thanks for the fun post and glimpse of a day in the life of Jessi. It’s fun to get a peek at someone else’s day! I am always impressed by people who can pull off the early mornings regularly– 4:30 is amazing Jessi! Jessi, never thought of that! I’ve been considering switching to getting up early again since my “baby” is now 12 mo. old and sleeping better at night, meaning that I feel a bit more rested. I’m naturally more of a night owl and have been staying up late a lot, but like you said, there are a lot of social media distractions and they wouldn’t be there in the early morning. This is inspiring. I need to start getting up earlier. How old are your boys? I blog but I also have a full time job outside of the home in the midst of it all. 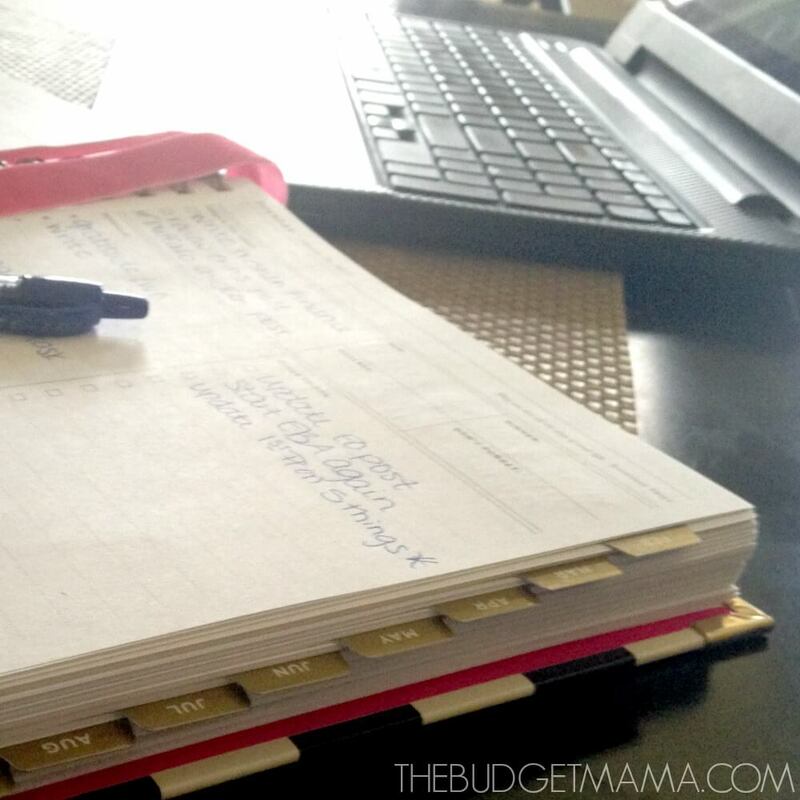 I love taking a peek at others schedules and routines almost as much as I love peeking at someone else’s budget. Thanks for both! I heart The Budget Mama! Such a great post. I don’t know how you get up at 4:30 in the morning, but it’s something I’ve been trying to get better at. Also, I’m glad I’m not the only mom that still has breakfast on the floor at dinner time some days. I actually won’t get up that early but have a pretty scheduled out day too. Since moving my almost 3yr old from the crib to a twin bed, she now will sit and bed and read/do magnet or felt play until I go get here. That has helped my mornings. I tend to get up at 6:30, give her things to do, then have half an hour for me in the morning. It helps for sure. That is amazing that your 3 year old will just sit in their bed and play! My boys from the second their feet hit the floor are running (literally) so if I’m not up before them, I won’t get anything done. I enjoyed reading your schedule! Do you set any sort of timer for yourself? If you say you are ‘pinning and social media interaction’ for an hour, do you just set an hour to do it and then you have to stop wherever you are? Or is it dictated by what the boys let you do? Thanks for sharing a peek into your day! I am just starting out with blogging and trying to get a more consistent schedule together. It’s nice to see what someone successful is doing. I definitely need to try to work my way to getting up earlier- especially with “spring forward” on the horizon! Thanks! This is a great post about blogging and gives me some advice! WOW, you went from 1,000 to 300,000 page views/month?! My highest thus far has been around 9,000 and now it seems like my stats are falling so far in 2015! Ugh! I’m going to read some of the other posts you linked. Visiting from the SITS linky today! Wow. That schedule is so beautiful it made me tear up a little. I would need to carve out significant blocks of time for helping find lost socks and cleaning milk out of the carpet. Visiting from the SITS sharefest. 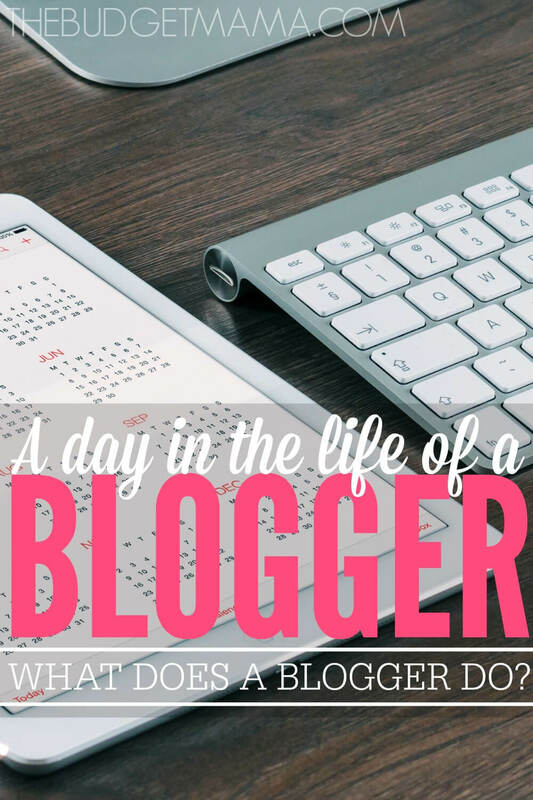 It is really great to see how you create time in your schedule for your blog! That has always been a struggle for me, but I can see from your post how important it is to wake up at the crack of dawn! That’s a big challenge, but I need to do it! Oh yes, if I don’t get up before my family I will not get anything accomplished. I love getting insight on how others manage their time with blogging. I’m fairly new to being a blogger and I’ve realized that having a consistent schedule is how I best operate. Thanks for sharing your blogging schedule. How long do you pin/do social media each day? How long did it take you to go from 1,000 page views per month to 300,000? This post is so inspirational! I love hearing from bloggers who have been able to monetize. It gives me the faith that I will as well. Thank you for sharing your schedule. I love that you show up for yourself at 4:30. It’s an amazing way to view getting up early. I will check out Elite Blog Academy. I am currently looking for an online program and I’ve very confused because there are so many options and I don’t want to waste money. I will check them out. Have a great Sunday! Thank you for sharing this! It’s cool to get a peek inside another blogger’s day. I’m gonna check out that book about time management. I love seeing other people’s schedules – thanks for sharing! I’m not sure I’m physically capable of getting up at 4:30am. 🙂 I haven’t tried getting up earlier, since my daughter has eagle ears in the morning, and shoots up as soon as she hears our bedroom door open. I’m a night owl naturally, though, so I get most of my blogging done after my daughter goes to bed (8pm-ish), and that works well for me. I’m also home while my daughter is in school a couple of days a week, and I manage to get a lot more done – blogging, cooking, cleaning, etc. – on those days.